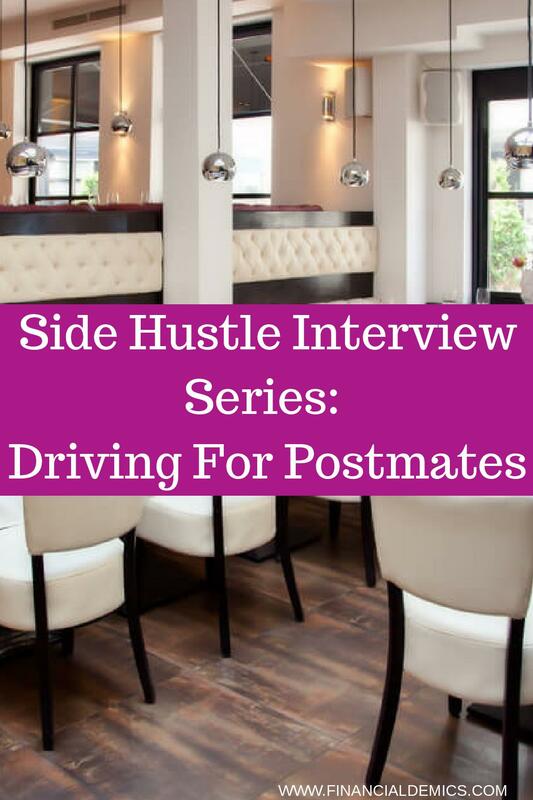 Once a month we will post a video or blog post interview with a side hustler so you can learn more about the different side hustle interview options available to you. If you have a side hustle you want to suggest or if you want to be interviewed click here. Tell me a little bit about yourself, your side hustle and why you started? My name is Allynn and I’m 27 years old. I love sports, music, painting, and videography. My side is delivering food with Postmates. I started because I was looking for ways to make extra income other than just having one stream. Is it easy to get started? How does someone get started? It’s fairly easy to get started. There are certain documents that have to be submitted in order for one to be approved for delivery. For someone to get started you have to first download the Postmates fleet app and fill out information. Once a person is approved, you’re provided with some material that will be needed to finally start delivering orders. When you first started how did you market yourself and how long did it take to turn a profit? Do you need to be outgoing to be successful in your side hustle? You don’t really need to be outgoing to be successful you have to be motivated. I would say Postmates does a good job of providing incentives for you to be successful. 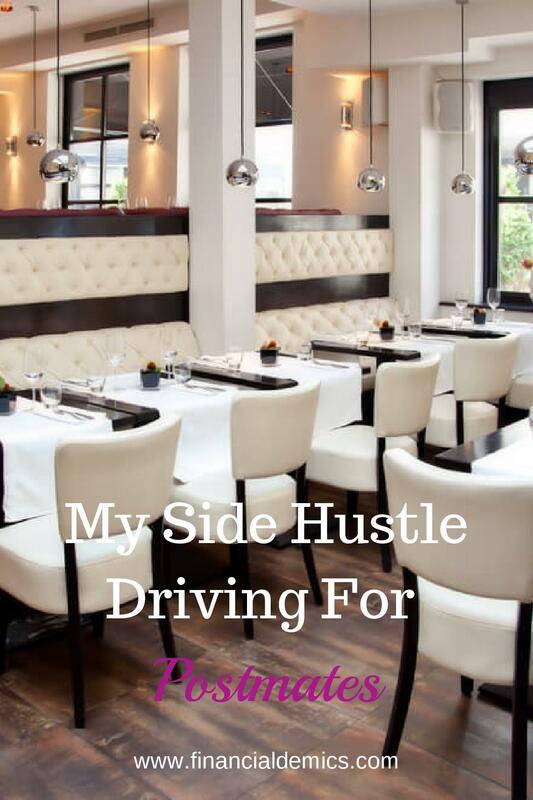 How do you make time for your side hustle? I would pick certain days after work to do deliveries especially depending on the time I get off. The weekends are also good because people tend to cook less than they do during the week. A typical day for me is going to my full-time job. I normally get off at 7 or 8 pm and if I’m doing deliveries, I pick an area where I normally get 2 to 3 deliveries quickly and go home. Are there any tools you need in order to run your side hustle? If you mean tools as physical, you will definitely need some form of transportation, a smartphone, and I would say to keep your phone charger close by. Outside of that, you will need to be attentive to the order that you’re picking up, there’s a great chance you can leave something that someone ordered and that’s money gone to waste. 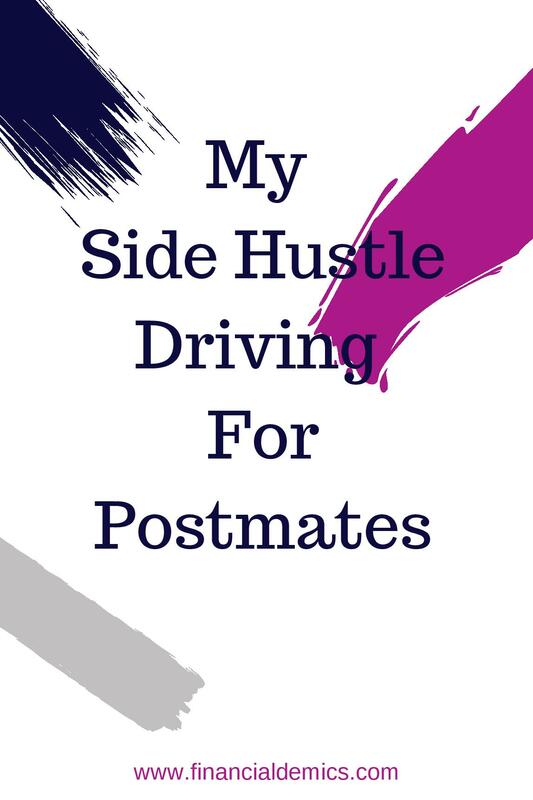 Is this your first side hustle or have you done other side hustles in the past? No this isn’t my first side hustle, but I will say this has been my most successful one. If so, what other side hustles have you done? Another side hustle I’ve had previously was Uber. What advice would you give to someone who was interested in doing your current side hustle? If you’re looking for something simple, that allows you to make extra money along with incentives, and you’re not the most social person in the world, I would definitely recommend Postmates. They provide opportunities for you to make money on your time, and you’re always guaranteed to walk away with a profit after every delivery. What opportunities has side hustling provided you? It has provided me the ability to save money and have fun money. Often times when we have bills especially in this economic climate you don’t really get to use your money the way you want to. Doing Postmates has really done that for me. Tell us where to find you (website or social media). 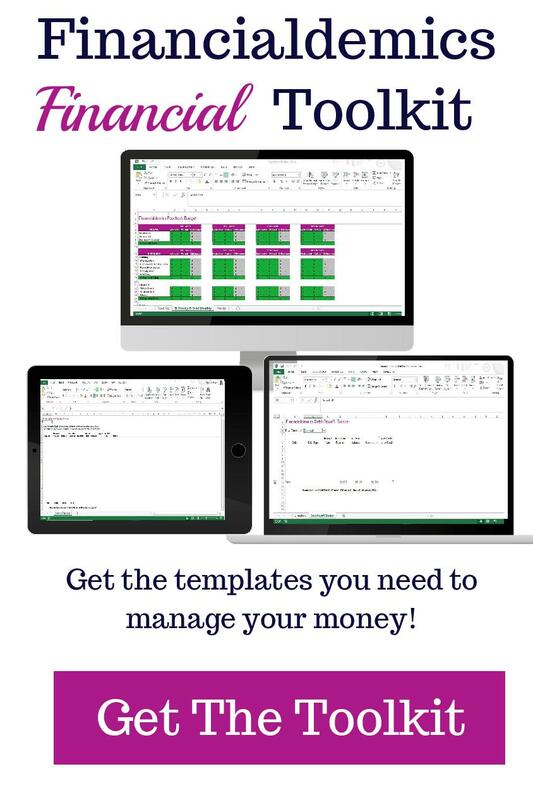 If you have a side hustle and you would like to share it with us, email me at hello at financialdemics dot com.